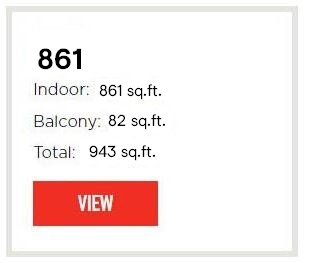 ONLY ONE SUITE REMAINING: 2 BED + DEN! Don't miss your chance to live at Minto Westside! The newly developed Minto Westside located at Front and Bathurst in downtown Toronto is currently under construction, and 99% sold out. Surrounded by amazing shopping and dining and just steps to the waterfront, Entertainment District, island airport and more, Minto Westside blends city living with comfort. These design-forward condos at Front and Bathurst takes community living to the next level, and offers stunning views of the Toronto skyline. Designed for entertaining and socializing, and featuring amenities like landscaped courtyards, rooftop pool and bar, Movement Haus gym and more, everything you need is right at your doorstep. Take advantage of our exclusive incentive on our remaining suite: $20,000 CREDIT ON CLOSING! Westside living brings luxury to your doorstep, and features sleek designs with comfort in mind. From striking city views to a fantastic array of lifestyle amenities, everything you need is right at home. Offering amenities that fit your every need. All-season socializing is a breeze with the indoor Skyline Lounge and Poolside Lounge, while the W2 Courtyard is perfect for private outdoor entertaining. Redefining the intersection of Bathurst and Front, Minto Westside is a stunning new community that combines elegance with contemporary styling, designed by the renowned Wallman Architects.